1:10 For smaller groups ask for our special offer. Mt. Meru, the little sister of Kilimanjaro, appears tiny with its 4,566 m next to the sacred mountain. As a consequence, only a handful of people climb it every year. People are not aware of what they are missing out on! Although Umbwe offers a magical scenery from Kilimanjaro, Meru is still something unique with its fascinating flora, mystical mist and scenery that surely comes from a fairy tale. It is not Lewis Caroll but Mother Nature that formed this volcano, which by the way is still active. The panorama you will see from the peak will completely change your expectations about Kilimanjaro. Note: You can book this trip only together with Kilimanjaro. If you want to get the guide, click on the button below and we’ll send it to you right away. Why is the Codex good for you? What’s in it? 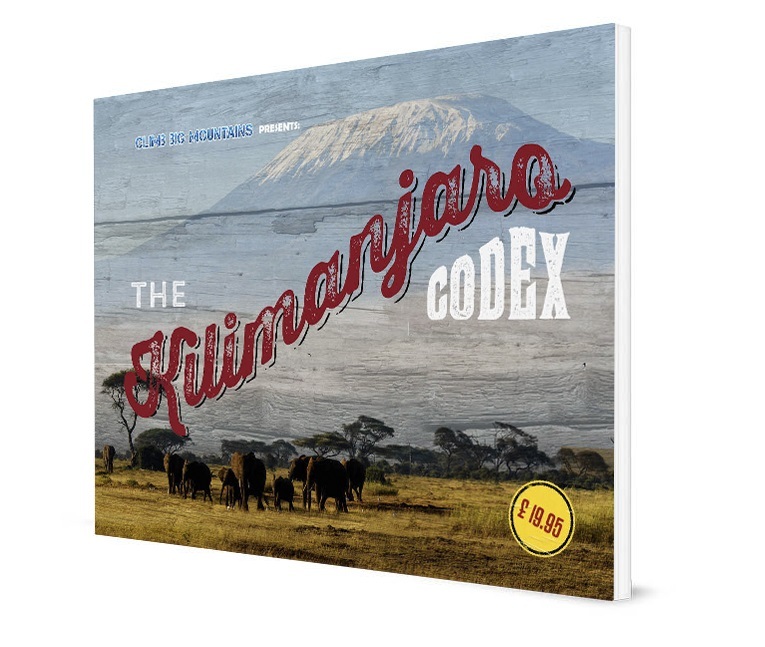 In short, a systematic collection of tips that are essential and fun to read before your Kilimanjaro trip. You don't need serious mountaineering experience. All that's required here is a good level of fitness and tolerance for other cultures. Note: You can book this trip only together with Kilimanjaro. You land in Kilimanjaro International Airport (or Nairobi International Airport). You meet up with your guide and spend the night in Moshi, in a nice hotel. You will get an impressive view of Africa’s rooftop from the city. For the rest of the trip, go to Kilimanjaro’s page. Same as what refers to Kilimanjaro.